Mr. Justice MianGul Hassan Aurangzeb in his judgment has decided the issue regarding condonation of delay without any sufficient cause in Civil Appeal No. 2 of 2018. 1. Through the instant appeal under Section 21(4) of the Trade Organizations Act, 2013 (“the 2013 Act”), the appellant, Mian Nasser Hayat Maggo, impugns the order dated 11.05.2018, passed by the Secretary, Ministry of Commerce (respondent No.1), allowing the appeal filed by Halal Products and Services Association of Pakistan (respondent No.4) against the order dated 03.04.2018, passed by the Directorate General of Trade Organizations (respondent No.2). Vide the said order dated 03.04.2018, respondent No.2 dismissed respondent No.4’s application dated 14.03.2018 for the renewal of its licence on the ground that the same had been filed with a delay of almost three months. 2. The facts essential for the disposal of the instant appeal are that on 18.03.2013, the Ministry of Commerce (Government of Pakistan) granted a licence to respondent No.4 in exercise of the powers conferred by Section 3 of the 2013 Act. The said licence was granted to respondent No.4 to represent trade, commerce, industry or service or any combination thereof in Halal Products and Services on all Pakistan basis. The said licence was valid for a period of five years. 3. On 14.03.2018 (i.e. four days prior to the expiry of respondent No.4’s licence), respondent No.4 applied to respondent No.2 for the renewal of its licence. Vide order dated 03.04.2018, respondent No.2 turned down respondent No.4’s application for the renewal of its licence primarily on the ground that the said application had been filed with the delay of almost three months. It may be mentioned that Section 6(2) of the 2013 Act provides that an application for the renewal of a licence shall be made to the Regulator ninety days prior to the expiry of the licence. 5. The said appellate order dated 11.05.2018 has been assailed by the appellant in the instant appeal. 6. Learned counsel for the appellant, after narrating the facts leading to the filing of the instant appeal, submitted that since respondent No.4’s licence dated 18.03.2013 was due to expire on 18.03.2018, it was incumbent upon respondent No.4 to have applied for the renewal of the said licence ninety days prior to its expiry in terms of Section 6(2) of the 2013 Act; that respondent No.4 submitted an application for the renewal of its licence four days prior to its expiry; that neither was the said application accompanied by an application for condonation of delay nor was any ground taken in the said application justifying the delay with which the said application was submitted; that since respondent No.4 did not come up with a sufficient cause for condoning the delay with which the said application for renewal of the licence was submitted, respondent No.2 did not commit any illegality in rejecting respondent No.4’s time barred application for the renewal of its licence; that even in respondent No.4’s appeal before respondent No.1, no justification was given for the delay in the filing of the application for the renewal of the licence; that respondent No.1 erred by condoning the delay especially when no application for condonation of delay had been filed by respondent No.4; that respondent No.1’s order dated 11.05.2018 is devoid of reasons and therefore, in violation of Section 24A of the General Clauses Act, 1897; that respondent No.1 ignored the mandate of the proviso to Section 6(2) of the 2013 Act which mandated that the period for filing an application for the renewal of a licence could be extended by the Regulator “on sufficient cause being shown by an order in writing”; and that respondent No.1’s order dated 11.05.2018 is silent as to the “sufficient cause” which persuaded respondent No.1 to condone the delay in the filing of respondent No.4’s application for renewal of its licence. Learned counsel for the appellant prayed for the appeal to be allowed in terms of the relief sought therein. 7. On the other hand, learned counsel for respondent No.4 submitted that the appellant had no locus standi to file the instant appeal; that under Section 21(4) of the 2013 Act, an appeal could be filed only by an “aggrieved person”; that the appellant cannot be considered to have been aggrieved by the order dated 11.05.2018, passed by respondent No.1; that under Section 7(1)(a) of the 2013 Act, a licence granted to a trade organization can be cancelled by the Federal Government where a trade organization fails to apply for the renewal of the licence within the prescribed or extended period allowed by the Regulator; that till date, respondent No.4’s licence has not been cancelled by the Federal Government; that a licence issued to a trade organization cannot be cancelled unless a show cause notice is issued to such an organization in terms of Section 7(2) of the 2013 Act; and that the mere fact that respondent No.4 did not apply for condonation of delay in the submission of its application for the renewal of the licence did not, in any manner, prevent either respondent No.1 or respondent No.2 from condoning the delay in the filing of such an application. Learned counsel for respondent No.4 prayed for the appeal to be dismissed. Further information regarding condonation of delay can be solicited from AUJ LAWYERS. Feel free to contact us in case you need any clarification and/or require legal assistance regarding similar matters. 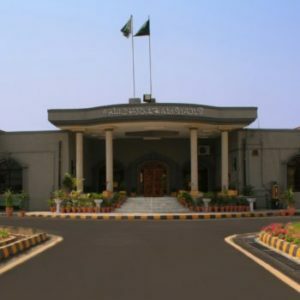 This entry was posted in Case Laws, Civil Law, Condonation of Delay, Food & Beverages, Halal Products and Services Association of Pakistan, Islamabad High Court, Knowledge - Civil Law, Litigation & Arbitration, Regulatory, Solutions - Civil Law, Sufficient Cause, Trade Organization. Bookmark the permalink.